The Government says new measures it's introducing will make it easier for community and commercial radio to broadcast on small-scale DAB. The Department for Digital, Culture, Media, Sport (DCMS) has announced that there will be a new category of small-scale DAB multiplex licence for community radio stations - the C-DSP (Community - Digital Sound Programme) licence - this will work on the same non-commercial terms as a community radio station's FM licence. Additionally, small-scale multiplex operators will be obligated to make a certain proportion of capacity available to community radio stations holding new C-DSP licences. Reserved capacity would only be available to community stations in their local area, although they could secure non-reserved capacity in other areas. We are breaking down one of the main barriers in the transition of radio from analogue to digital, to secure long-term benefits for the UK’s smaller commercial and community stations and ensure a range of local content for listeners. The roll out of small-scale DAB multiplexes across the UK could help more than 450 existing small community or commercial radio stations go digital. To put these small scale services on a proper long-term footing, the Government is revising the current legal framework for licensing radio multiplexes - originally drawn up in the mid-1990s. In the run-up to today's announcement, the DCMS consulted over the future licensing arrangements, with nearly 90 responses. In response to the consultation, the Government will push ahead with allowing the BBC to take up capacity on small-scale DAB if it wants to boost coverage of local radio or stations for Scotland, Wales and Northern Ireland, to cover areas where existing local DAB services are unavailable, but the broadcaster won't be granted any special rights. Also in response to the consultation, the Government intends to reduce the proposed shareholding in small-scale DAB multiplexes that companies with existing national multiplex interests are allowed to have. Originally proposed at 50%, the cap will be cut to 30% and companies won't be able to have a stake in more than 6 small-scale multiplex licences. Companies that only have a stake in local DAB multiplexes, such as MuxCo, can take a 50% share in no more than 25% of the small-scale DAB multiplexes that are licensed. Other groups have no restrictions on shareholding beyond a cap of having a stake in no more than 25% of the total number of licensed small-scale DAB multiplexes in the UK. We welcome today’s announcement from DCMS supporting the future development and expansion of small-scale DAB. This is good news for radio and good news for listeners as the expansion of small-scale DAB gives listeners a wider range of smaller stations available on DAB and gives small local stations a path to a digital future. Switch Radio is a community radio station that operates and broadcasts on the trial small-scale DAB multiplex for Birmingham. Switch Radio welcomes the publication of the DCMS consultation response document. 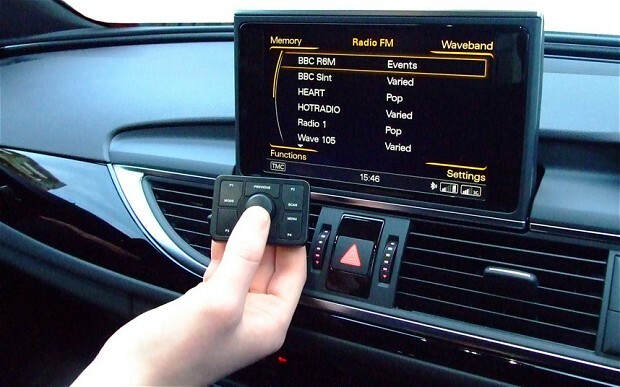 Small-scale DAB is a game-changing innovation that will drive real benefits for listeners and we are delighted that the government is actively supporting the progression of this technology from concept to delivery.